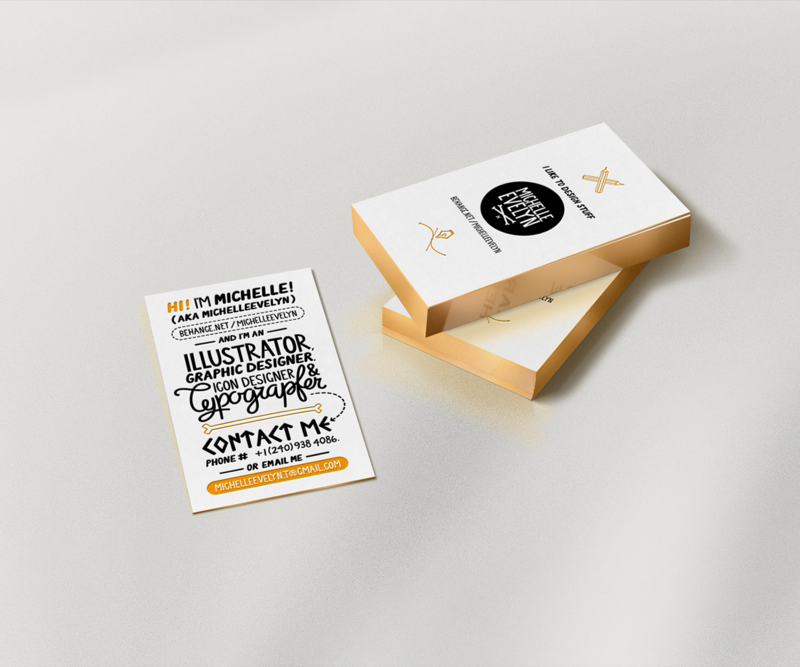 Michelle Raabe designed these business cards for her self-branding, Michelleevelyn, as a graphic designer and illustrator. 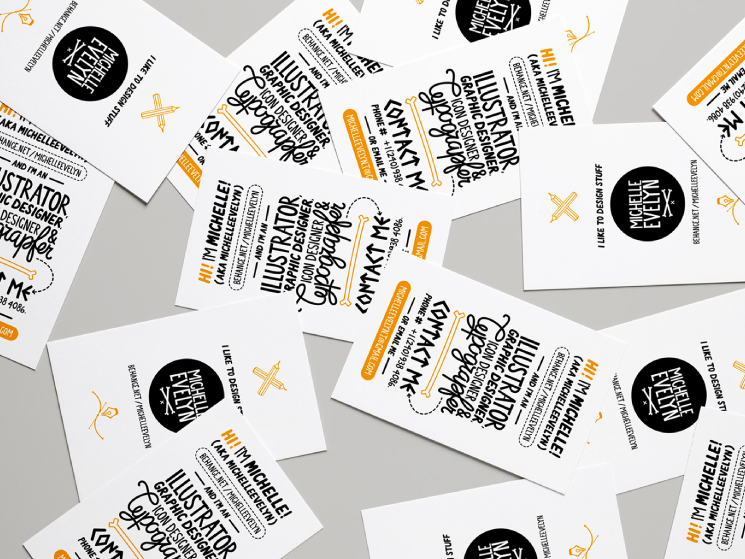 “This was a personal branding piece. As this was my industry and for this, I wanted to showcase the best of my abilities – clean, simple and legible; yet chaotic, messy and attention seeking. Most of my work is inspired by 1920’s house of mouse, Mcbess, j3concepts & any video games I happen to be into at the time of creation,” Michelle said. “A love of simplicity mixed with a love of uniquely crafted imagery.” How fascinating! And Michelle was right, we came across her latest design just recently and it’s just as brilliant! Both designs are somewhat similar (design inspiration-wise) except for a few changes. 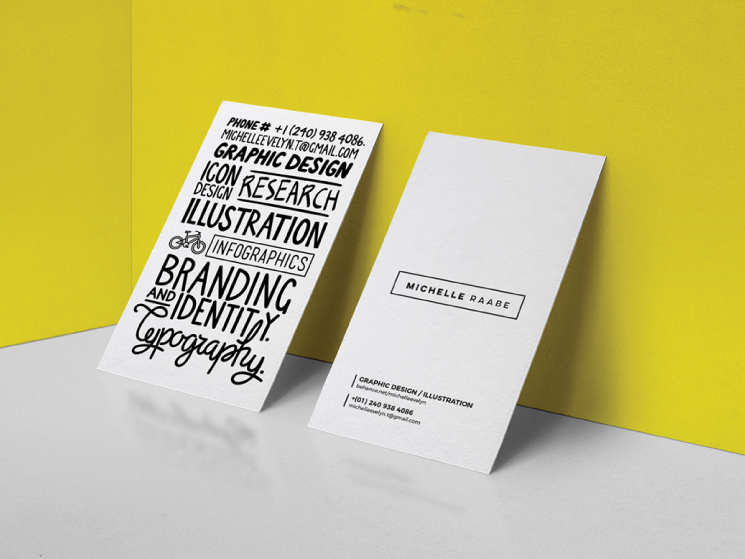 Michelle had chosen a basic colour palette this time (black/white), rearranged the typographies and applied a much simpler, organized approach (to give off that professional vibe) to her visual identity. “Unfortunately the old cards were not edge painted. If I were to, it would be black on the new design and warm yellow on the original (previous) design.” Sounds like a good idea!